Der verwitwete Baron Trapp, reich und berühmt, verliebt sich in die junge Erzieherin seiner Kinder und heiratet sie. Die frisch gebackene Baronin entdeckt die engelsgleichen Stimmen der Trapp-Sprösslinge. Als der Baron sein Vermögen verliert, führt sie die muntere Schar lebenslustig und tatkräftig als Familienchor an den Widrigkeiten des Lebens nach dem Ersten Weltkrieg vorbei. 1938 flüchten sie vor dem Hitler-Regime in die USA. Dort zeichnet sich die erste Konzert-Tournee ab. 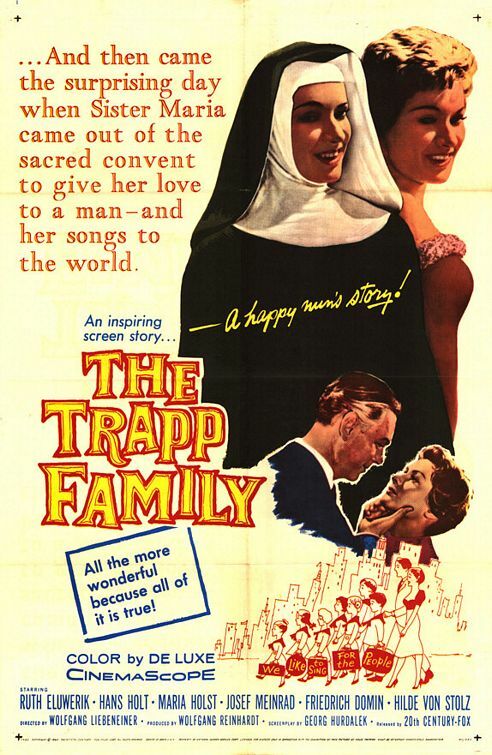 The widowed Baron Trapp, rich and famous, falls in love with the young governess of his children and marries her. 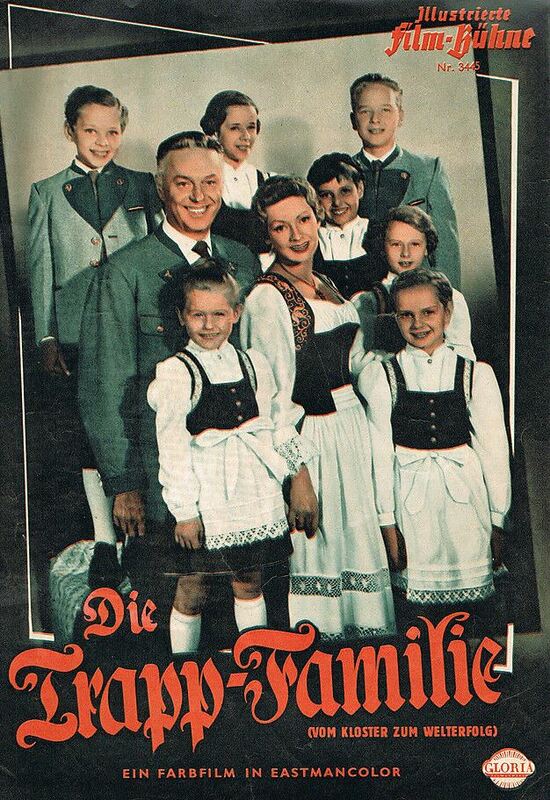 Disaster soon strikes, though, when the Baron decides to transfer almost all the family's money -- safe in London -- back to Austria to prop up a bank on the verge of going under -- run by a friend -- and which is giving money to political parties fighting the homegrown Nazi Party. The bank goes broke; the friend commits suicide; and the Trapps end up with squat. Worse still, word of the baron's financing of the bank lands him in very hot water, when the Germans march into Austria. The family decides to leave for America. Their troubles are far from over, however, when an incredibly naive Maria tells the immigration officer they want to stay forever, when he asks how long they'll be visiting the States. Somewhat loose with the facts -- though not as much as the American version of the film made years later -- this is still an entertaining distortion of Maria's book about her family's journeys. Try not to be disappointed when Rogers and Hammerstein's songs don't make an appearance throughout the film! DVD-R is in German with switchable English subtitles. Approx. 112 mins. Minor pixellization issues.